Did you encounter these disasters before? Deleted files from dynamic disk, formatted dynamic disk partition, deleted dynamic disk partition before converting it to basic but forgot to backup the files. Some people don’t know what dynamic disk is, even more, they don’t know the disks they used are dynamic. 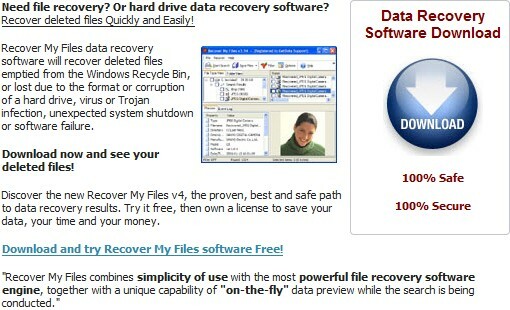 So after purchased a data recovery software, they may found the software is useless. To recover files from dynamic disk, you need to purchase professional dynamic disk data recovery software. So in this article, I’ll introduce dynamic disk shortly and tell you how to do dynamic disk recovery. A Dynamic disk is a physical disk with features that basic disks do not have, such as support for volumes spanning multiple disks. Dynamic disks use a hidden database to track information about dynamic volumes on the disk and other dynamic disks in the computer. Dynamic disk management is a data/hard disk management method on the Microsoft Windows platform, first introduced with Windows 2000 operating system. The basic concept was put to use on Unix platform years earlier. Dynamic storage is supported in the Windows XP Professional, Windows 2000 and Windows Server 2003 and the later Windows operating system. A disk that has been initialized for dynamic storage is called a dynamic disk. A dynamic disk contains dynamic volumes, such as simple volumes, spanned volumes, striped volumes, mirrored volumes, and RAID-5 volumes. With dynamic storage, you can perform disk and volume management without restarting the Windows. How to do dynamic disk recovery? There are many reasons for a Redundant Array of Independent Disks (RAID) system to fail (RAID controller failures, software RAID emulator errors, etc.). [email protected] File Recovery provides an easy way to assemble array disks together and make damaged or deleted data accessible. You can combine a set of disks that were previously used as a part of a RAID system in a temporary (virtual) disk array. With this a virtual configuration, it enables performing all drive file recovery operations as though working with regular drives. It is important you specify the parameters of the RAID system that existed before the fault so that the same system can be virtually reassembled. Each time you try a combination, write down the order you are trying. Click OK to accept the configuration. Check the results by trying to access and scan the newly-created virtual RAID that is added to the list of Local System Devices. If you don’t see your data or if there was an error during the virtual array creation, mark this one as a failure and try another order of disks in array. In next article, I’ll introduce the step by step how to recovery files from dynamic disk.